Garcia Saturnino IV was arrested by Caldwell Police on March 15 on aggravated battery charges stemming to a shooting in Caldwell in early March. Saturnino Garcia IV was arrested on aggravated battery charges in connection to the shooting of a woman in her home, who lied to police that she was shot while walking her dog. 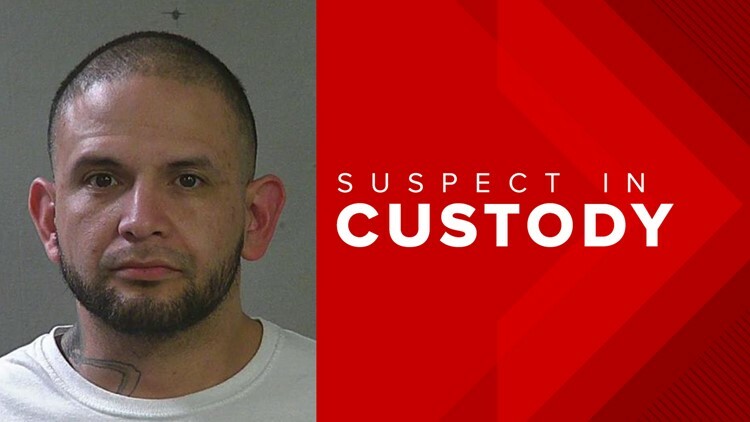 CALDWELL, Idaho — Caldwell Police have arrested 34-year-old Saturnino Garcia IV on aggravated battery charges in connection to the shooting of a woman on March 5, who lied to police, saying she was shot in a drive-by while walking her dog in Caldwell. Garcia was arrested on March 15, just before 7 p.m. on the 200 block of Boise Street in Middleton. Investigators found evidence that the victim, 49-year-old Aurora Quezada, lied to police about being shot while walking her and that she was shot in her home on Ronco Avenue in Caldwell. Police say she was uncooperative with police during the investigation into the shooting, refusing to identify the suspect or explain why she was shot in the shoulder. She does not want to press charges at this time against Garcia. Caldwell Police are planning to charge Quezada with filing a false police report, due to police searching for the supposed drive-by suspect for hours.